Let’s face it, having the right music and entertainment is the major key to making your dance successful and fun. 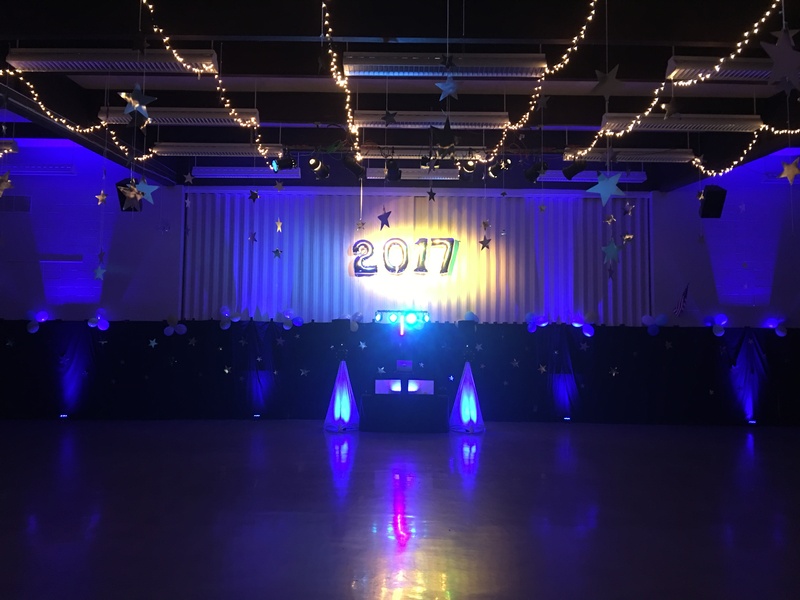 Your best choice is to hire a professional DJ who SPECIALIZES IN SCHOOL DANCES. The sad truth, though, is that there are a LOT of people who buy some equipment and claim they are professional DJs. WARNING: These amateurs can ruin your event! We've been doing school dances for 10 years! We have special programs designed for middle schools, high schools and elementary schools. Our super fun programs of dance, music, videos, and contests have entertained thousands of students from Cal Young Middle School, Monroe Middle School, Fern Ridge Middle School, South Eugene High School, North Eugene High School, Harrisburg High School, North Douglas High School, Mohawk High School, Creswell High School, Pleasant Hill High School and Elkton High School just to name a few! POWER REASON #1: RADIO-CLEAN VERSIONS of the hottest, most up-to-date music. We know what the kids want to hear, but understand what music is appropriate. We mix the best selection of only age appropriate music that will make the kids sing, laugh, and dance like crazy, but keep the parents happy. We are pleased to be the only disc jockey service in Lane County who are certified Responsible DJ’s and members of the School Dance Network, a resource that delivers a weekly list of age-appropriate songs along with music to avoid. POWER REASON #2: MORE THAN JUST MUSIC! Photo Booths, Line Dances, Super Fun Contests, Videos, and more! 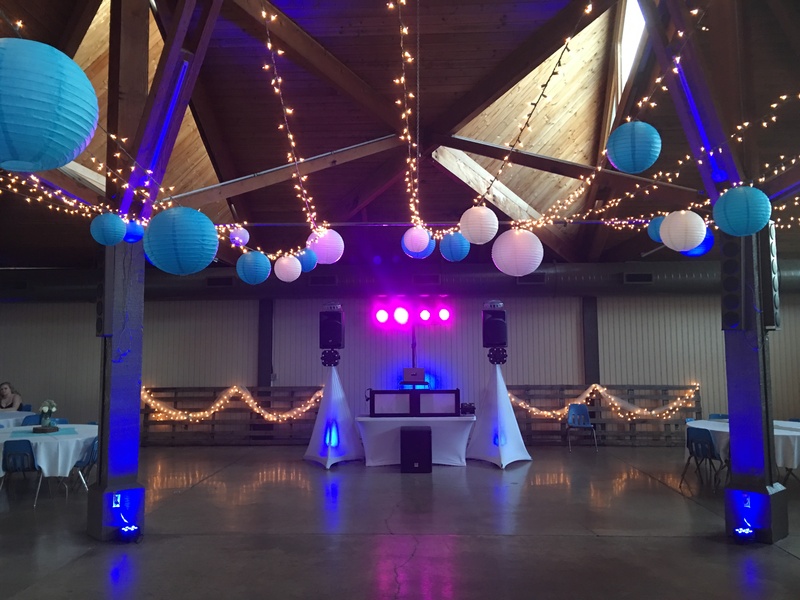 We can make your dance as spectacular as you want! We can work with your budget. We have awesome special effects including lighting, fog machines, lasers, music videos and more! Everyone will be talking about your dance for months! POWER REASON #3: GREAT SOUND WITH BACKUP! You don’t have to worry about a thing. We never charge extra for providing big sound systems, whether you only need two speakers for your venue or a system with 2 subs and 6 speakers we'll have your event covered. I know a couple horror stories about amateur DJs whose only system wasn’t loud enough or didn’t have enough bass, or even worse wouldn’t work when they got to the dance. Think about not having any music at your party. Bad news. Want to schedule your free consultation for your upcoming dance? Contact us right away to secure your date! We will talk about your dance, will answer any questions you may have, send you free information with tips on making your dance a success and see how we can help you.